Our Oceans sequester excess energy and materials, such as: CO2; Heat;Pollutants; and Plastics. These are shared on a mega scale by Ocean Currents. 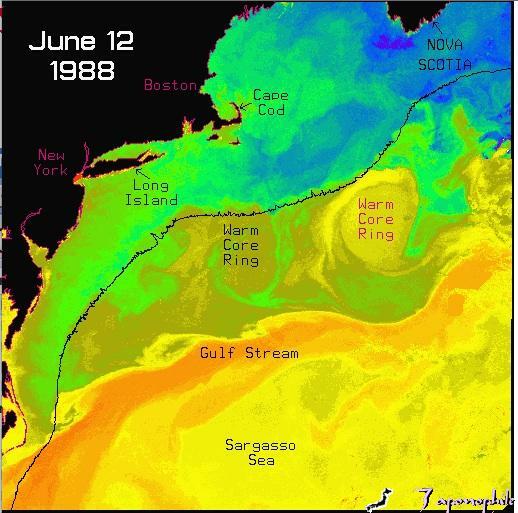 The Gulf Stream is an example of a powerful heat transfer current from warmer southern lattitudes to colder northern lattitudes. This is a wind driven current. 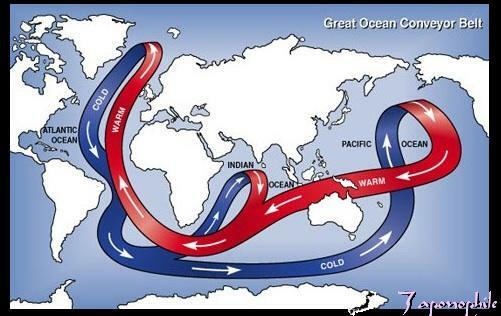 The surface map illustrates Thermohaline Circulation (THC). 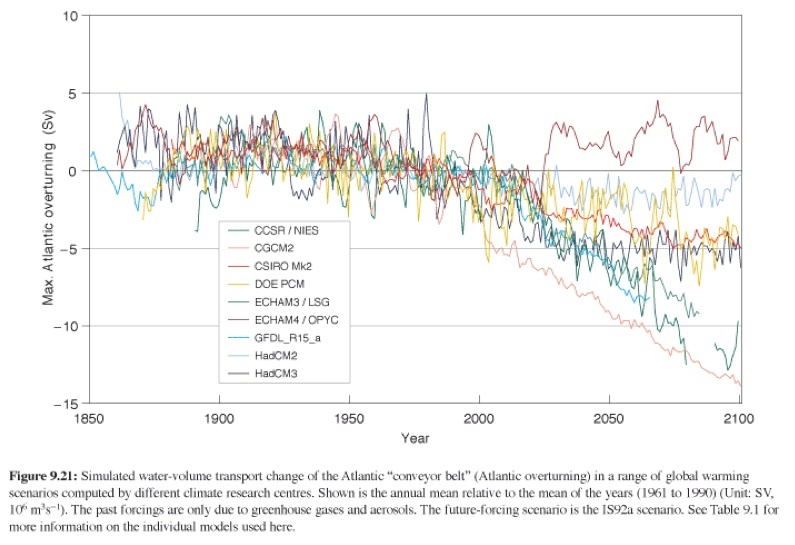 This type of current is driven by differences in temperature and salinity between water masses. 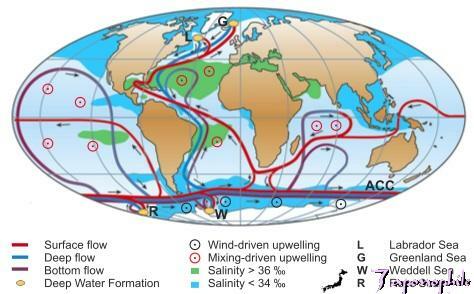 The above diagram integrates wind driven and thermohaline driven currents world wide. The full scope of 3 dimensional, world ocean currents, opens our eyes to the world scale of critical inter-ocean relationships.